May 6th is Military Spouse Appreciation Day. At the National Military Family Association we work hard every day to support military spouses. It’s no secret that spouse education and employment go hand-in-hand. Earlier this year we submitted testimony and offered recommendations to Congress on how to support spouse education and employment efforts. Spouse employment and education support is a critical component of military family readiness. Much like their civilian counterparts, many military families rely on two incomes in order to help make ends meet. However, military spouses face barriers hindering their educational pursuits and career progression due in large part to challenges associated with the military lifestyle. 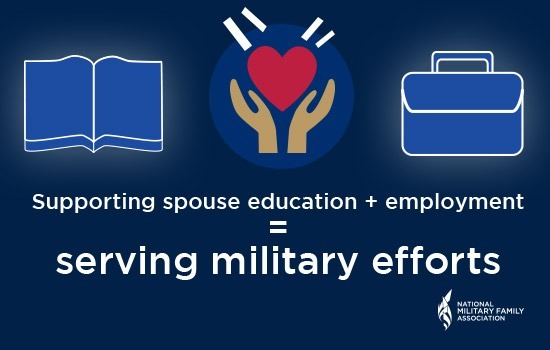 We are gratified in recent years Congress, the Department of Defense (DoD), the White House, and States have all taken steps to lessen the burden of an active duty member’s military career on military spouses’ educational and career ambitions. While progress has been made, several research studies indicate military spouses continue to face significantly lower earnings and higher levels of unemployment and underemployment than their civilian counterparts greatly impacting their families’ financial stability. As military spouses seek mobile careers that fit with the military lifestyle, more and more of them are pursuing degrees in mental and behavioral health. Our military spouse scholarship program has seen annual increases in the number of spouses pursuing mental health careers and seeking help furthering their education. This number reached almost 10% of our applicant pool of 7,000+ in 2016—more than 600 spouses. At the same time we know there is an increasing demand for mental and behavioral health services among military families, who are still coping with the effects of more than 15 years of war. One of our top legislative priorities is ensuring military families have access to behavioral health providers who are attuned to the unique stressors of military life. Who better to fit that role than a military spouse who has experienced the challenges of military life first hand? For this reason, we support efforts to educate and employ military spouses as mental health professionals. Many of our military spouses pursuing careers in mental health fields intend to serve military families. 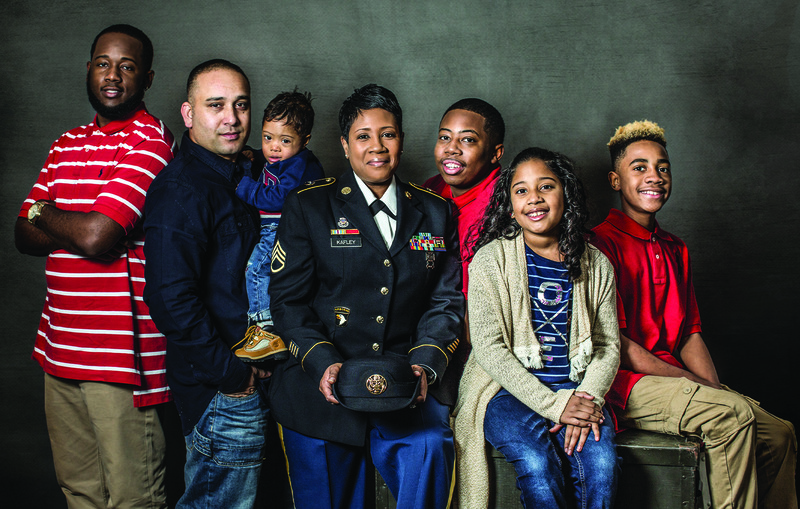 Helping these spouses overcome obstacles and pursue their careers has the dual benefit of assisting the individual spouse and family while addressing the shortage of mental health providers in the military community. Support partnerships between the Military Health System and the Department of Veteran Affairs to ease spouse difficulties in obtaining clinical supervision hours, reduce licensing barriers, and spur employment of military spouses and veterans in the mental health field. What do you think of our recommendations? How else can we support military spouse mental health providers? This legislation is long overdue!!! As an RN (now a nurse practitioner) I can not fully describe the frustration and excessive amounts of money involved when transferring several licenses with each PCS. My husband and I have moved twice in the past 3 years. Between licenses and background checks for these licenses I have spent hundreds of dollars. Currently, some states provide for “”endorsement”” licenses. That may sound easy however, they still require an application fee, background check (also at a fee) and continued education (at a cost) regarding that particular state’s practice laws. We should be encouraging spouses to develop their careers as we support our spouses in a very challenging career. The excessive fees and endless paperwork only discourage spouses from pursuing their goals. This would be wonderful! I have been so discouraged when moving to other states in the middle of acquiring hours for my license. Sometimes having to start from scratch after accruing so many hours in my home state. The work we do is important and it should be valued. Thank you for seeing that.